ALLEB ASOR (Bella Rosa backwards) is a high fashion ready to wear clothing brand that caters to on-the-go working women of the 21st century. Bella Rose designer/owner Isabella Brandao was born and raised in Dorchester, MA. Isabella learned to sew when she was 14 through a fashion entrepreneurship course she attended at the Bird Street Community Center; she began participating in fashion shows to showcase her talent as soon as the class ended. Inspired by an array of global cultures, Bella Rose designs are eclectic and urban. WE'RE HAIR® is an information hub for hair care and a one-stop shop for all things hair. We're Hair® is a hair care information hub. 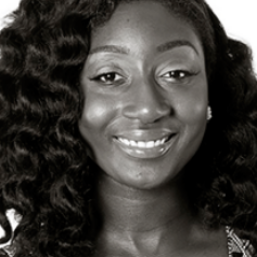 Creator and chief innovator, Praise Dela-Seshie inherited her passion for hair and beauty from her mom who had been a professional cosmetologist. A Boston native, graduate of Johnson & Wales University with a Bachelors degree in pre-law and political science, Praise started on her path to entrepreneurship after an economic downturn and an extended period of unemployment. Praise credits her parents, who emigrated to the US from Ghana with few material resources and who supplemented their income with entrepreneurial ventures to support their six children, with having inspired her determination and pursuit of her own business. LUSTERITY helps modern hosts design gorgeous gatherings and do good. The essence of celebration is expressing who we are and what we care about, and the party market is failing. Lusterity helps modern hosts design gorgeous gatherings and do good. It is led by two co-founders, Sierra Rothberg and Marie Zemler Wu. Brought together to lead the 375th birthday celebration for their children’s public school (Dorchester’s Mather Elementary, the nation’s first! ), they are proven party-lovers of historic proportions. HIKE4LIFE takes people from the hoods to the woods. MOVE helps empower, motivate, and educate youth to become global leaders in the 21st century. Growing up in one of Boston’s toughest housing projects taught me that you need a good support system to reach your goals. It’s been my life’s work to build an organization like MOVE, Inc., that empowers youth in similar situations to take advantage of opportunities that can help them realize their dreams. DEVIKAR STYLES East meets West custom clothing for full figured women & athletic built men. Devikar Styles can also be contracted by fellow Fashion designers for small production runs. I am East Indian descend by way of Trinidad, born and raised in Boston. Growing up with the Indian culture at home and American culture outside my door, has inspired my fashion creativity. With my passion and vision for fashion, we make custom clothing without the custom price tag. INTELLIGENT MISCHIEF is a social hack lab whose mission is to boost invention + imagination, realign action logic and experiment with new forms for civil society in order to create atmospheres of change. DesignCo is a mobile classroom providing classes in sewing, quilting, knitting, crafts, as well as embroidery services. MATTAPAN CULTURAL ARTS is developing a network of artists and arts organizations invested in making art happen in Mattapan. As network-weaver and creative director of Mattapan Cultural Arts Development (MCAD), G. Sierra Khan wants to launch an open-air art gallery in Mattapan this summer. She intends to use the Fairmount Innovation Lab to clarify and test her team's business concept and to identify potential profit centers. Johane provides expert writing and editing services to non-profits, small businesses, and startups that are looking to convey their brilliant ideas and work in a concise, organized, and impactful way to their audiences. "I’m in love with the written word, with clarity of expression, and with persuasive language. As a quiet and introspective child of immigrants walking the streets of Mattapan, I was translating a new world in my head. Now, I translate the ideas of passionate entrepreneurs and small business owners and communicate their passion through the written word. Driven and with broad-based writing skills from my experience in the non-profit and public service fields, my writing and editing is not just a service but a collaborative and creative effort."